Let’s face it Social Media is here to stay. If you are a small or medium size business you and your marketing department are juggling all the other things you have to do every day and the last thing on your mind at the end of a busy day is social media. Some of our clients tell us during our initial meetings that they wish they could ignore social media and that it would just go away, but trust me you do not want it to. Done properly Social Media can be one of the most cost efficient ways to market your business. Blogs, Facebook, Twitter, LinkedIn, Youtube… the list is overwhelming but the potential for growing your business and expanding your customer base is just as vast. A few businesses are effectively using social media to increase their profits but most are struggling to get their arms around Social Media and are making critical mistakes. First, and by far the most important thing to understand the different social media venues you can utilize for your business. 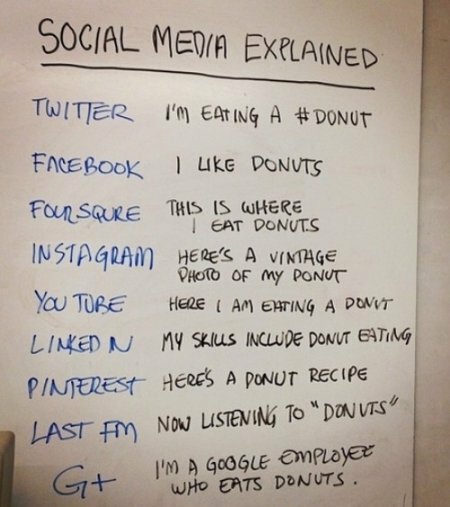 Recently I saw the following shared with a group of us social media experts at a seminar, that I thought I would share it with you! Now that we have had a bit of a chuckle, let’s get serious about Social Media. 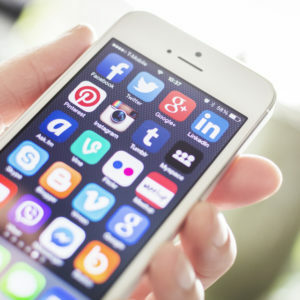 The data on the percentage of small businesses that are using social media varies by source, however one thing is for sure, it is becoming an essential marketing tool for businesses of all sizes. The shocking statistic is there is no one employed or assigned to social media in over 70% of small and medium size businesses because owners and staff are stretched too thin causing the loss of potential revenue growth.